Situated off the A419 Swindon to Gloucester Road. 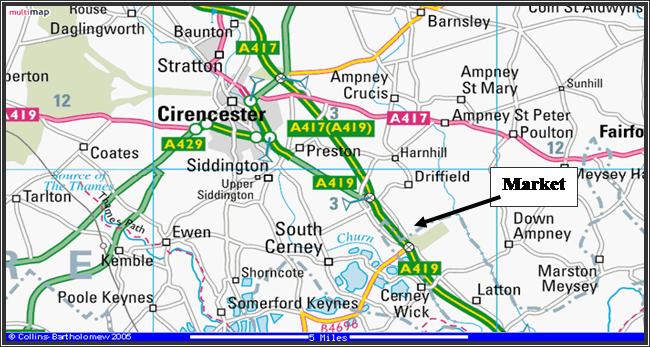 Taking the turning for South Cerney, Driffield and Cotswold Water Park (Spine Road Junction) (B4696) some 3 miles south of Cirencester. The Market is located just off the roundabout on the Driffield Road. Adjacent to Countrywide Stores. Voyce Pullin have a purpose built Auction Sales Centre at the Cotswold Agricultural Centre in Cirencester.